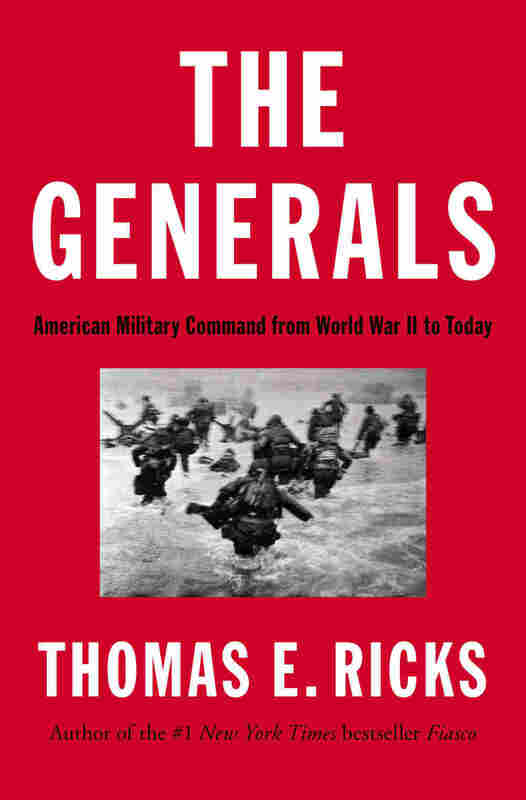 Interview, Thomas Ricks, Author Of 'The Generals' Thomas Ricks' new book, The Generals, is about what he sees as a decline of American military leadership and accountability. He says that in World War II, generals were held accountable for their lack of success — but that started to change with the Korean War. Ricks: Firing 'The Generals' To Fight Better Wars? When Thomas Ricks first learned that Terry Allen, the successful general in charge of the 1st Infantry Division during World War II's Sicily campaign, had been fired, he says, his jaw dropped. "I was thinking, 'My God, I'm coming out of Iraq where we have mediocre generals all over the place, where they're flailing around, where they don't understand the war they're fighting, and nobody gets fired,'" he tells Fresh Air's Terry Gross. "How could we go from an Army that in World War II would dismiss a successful general to an Army in Iraq in which mediocrity is acceptable, nobody wants to stick their head out, and nobody gets fired for anything except for embarrassing the institution?" Ricks is a senior fellow at the Center for a New American Security. He covered the military for The Washington Post and The Wall Street Journal for many years, and was part of two teams that won Pulitzer Prizes for military coverage. His new book, The Generals, is about what he sees as a decline of American military leadership; it offers an argument about why the wars in Vietnam, Iraq and Afghanistan have been so long and so frustrating. He says it boils down to one word: accountability. Back in World War II, successful generals were generally promoted, while unsuccessful generals were relieved of their commands. But that began to change during the Korean War. Ricks says Maj. Gen. James Baldwin, who was relieved of duty in 1971 during the Vietnam War, was the last general to be fired for combat ineffectiveness. "Today, being a general in the army is a lot like a professor having tenure in a university. If you have a moral lapse, they might get rid of you, but if you're just not very good at your job, you're comfortable and you have tenure," he says. Ricks says some of the reasons have to do with our wars becoming murkier and it being harder to tell what success is. It's also a matter of public relations, Ricks says. "When you're fighting small, unpopular wars, there's a natural inclination, I think, on the part of the military not to want to make their problems public," he says. Another issue is that today, firing a general is seen as ending a career and as a sign that the system isn't working — "that somehow the Army let slip through somebody who shouldn't have been a general" — whereas previously, Ricks says it was seen as looking out for the best interests of enlisted soldiers. In earlier years, he says, it was expected that 10 percent of officers just wouldn't work out. To Ricks, it's time to take stock of military leadership and to stop acting as cheerleaders for the military. "We've overreacted to the bitterness of the Vietnam era," he argues. "Yes, support troops, but one way to support the troops is to question the military leadership." 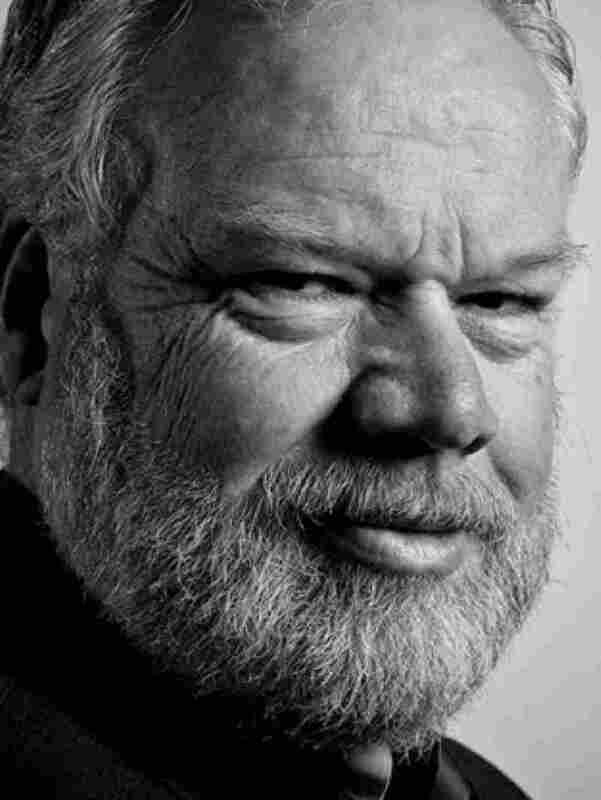 Thomas E. Ricks is also the author of the best-seller Fiasco: The American Military Adventure in Iraq and its follow-up, The Gamble: General David Petraeus and the American Military Adventure in Iraq, 2006-2008. "I think the first major change was the nature of our wars. In World War II, it was pretty clear what we were fighting about. The whole country was at war, and there was a sense of obligation to the country, especially on the part of George Marshall, the chief of the Army in World War II, that, look, 'We're fighting a war for democracy. We are responsible in a democratic way to our enlisted troops. Their lives are more important than the careers of our generals. The Army kind of loses that sense in Vietnam and subsequent wars. "And thirdly, when you're fighting small, unpopular wars, there's a natural inclination, I think, on the part of the military not to want to make their problems public. So in the Korean War, when Matthew Ridgway took over there at the end of 1950, he began firing a lot of generals. And the Pentagon told him to stop — they said, 'You're embarrassing us and you're going to cause Congress to start asking embarrassing questions. So if you're going to get rid of people, you have to do it quietly. You have to disguise — maybe find places to park unsuccessful generals, but don't fire them publicly like we did in World War II.'" "I'm actually more pessimistic in the long run about Iraq than I am about Afghanistan. I don't see how Iraq holds together as a country. And if it does, it'll be partly because it's dominated by Iran. Afghanistan actually, I think, could hold together as a country. And I like the idea that President Obama has of saying, 'Look, we're out of there by 2014 as much as possible, [and] you guys, the Afghan Security Force, Afghan political leadership, need to get your act together because we're going to be gone.' A friend of mine describes this as the 'Postcard of Mussolini' theory — which is, you show these guys a postcard of Mussolini hanging from an Italian lamppost by his boot heels and say, 'This could be you in two years if you don't get your security forces together.' And so Obama's emphasis on 2014 is a good way of conveying that to them." On what would happen if Pakistan became an enemy of the U.S.
"It makes it much more difficult extricating ourselves from Afghanistan and hoping it is relatively OK after we leave. The second thing is India — it gives us a natural reason to be allied with India in addition to other reasons. India is a democracy, India is a very large and important country, and India has a burgeoning information-technologies industry. So there's a lot of good reasons to be allied with India. The funny thing is India is not quite so sure it wants to start going steady with us. I think India is a little bit worried that the United States is not the best partner to have in the world at this point, and it's doing quite well on its own and it doesn't necessarily want to forge a close alliance with the United States." "I think you could cut a lot of money from the defense budget — I don't know whether it's 10 or 20 or 30 percent. Right now we have a U.S. military that really is not very good at spending money. Since 9/11, they've just had a fire hose of cash turned on them, almost like, 'Here's the cash. Figure out how to spend it.' And in military terms, 10 to 15 years is a generation. So we have a generation of officers who have never actually had to live with any austerity at all, or even had to think about things, about, 'Maybe there's a cheaper, better way to do this. Maybe this second way of doing it is not as effective, but it's one-tenth the cost.' So we have a military that really doesn't know how to spend money effectively at all." "The Vietnam approach is not the only approach to a draft. The reason I think we should have a draft is there is a basic disconnection now in this country between the population and the wars we're fighting. There are two 1 percents in America. There's the 1 percent that is grabbing all the wealth in this country right now, and then there's the 1 percent — a different 1 percent — that fights our wars. ... And the 99 percent is not affected by [those wars] at all. That is no way for a democracy to conduct itself. "It means that our wars are conducted with some inattention, that our politicians are pushed by our people, and our politicians don't push our generals to fight more effectively to terminate our wars more quickly. And our wars tend to drag on, to dither and to be led by mediocrity, conducting mediocre campaigns. If you had a draft, you would reconnect the people to the wars they fight, and they would be a lot more interested in the military. They'd pay a lot more attention. They would not stand for the kind of organization and leadership you see in the Army in Vietnam, Iraq and Afghanistan." This is almost impossible. Where to start? There are so many good histories, so many powerful memoirs, starting with Winston Churchill's (The Second World War) and Field Marshal Slim's (Defeat Into Victory). Also, Rick Atkinson's Liberation Trilogy about the U.S. military in Europe -- the last volume will come out next year — is a must-read. But when I think of my single favorite, I think it has to be Eugene B. Sledge's With the Old Breed: At Peleliu and Okinawa. I'm tempted to pick Martin Russ' The Last Parallel, a memoir of being a Marine near the end of the war. But the centerpiece of the war really for me is the Chosin Reservoir campaign. For that, I think I'd have to pick Roy Appleman's East of Chosin, a painful history of the forgotten fight of an Army regiment that was wiped out on the east side of the reservoir. An odd war — thousands of volumes written, but no one great book. Right now I am in the middle of Karl Marlantes' novel Matterhorn, which is terrific. But I won't know if it is my favorite until I finish it. Until then, I think I will have to choose James McDonough's Platoon Leader. For this one, I think I'd have to go with The Generals' War by Michael Gordon and Bernard Trainor. It covered the war but also provided some prescient doubts about the quality of U.S. military leadership. Putting aside my own works on this war (Fiasco and The Gamble), I think my favorite so far is The Long Walk, a memoir by a bomb-disposal technician, Brian Castner. The overall book hasn't been written yet. But I think the ones that capture the feeling of how this war went are the many memoirs about how Osama bin Laden escaped at Tora Bora. The place to begin is probably Gary Berntsen and Ralph Pezzullo's Jawbreaker.